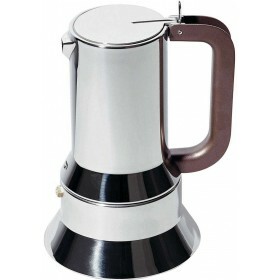 6 cup espresso coffee maker in aluminium casting. 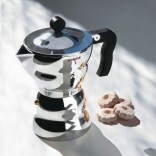 Handle and knob in black thermoplastic resin. 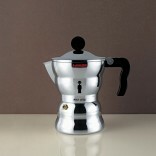 Suitable for gas, electric, and ceramic cooktops. 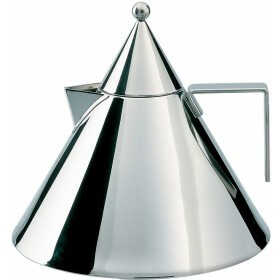 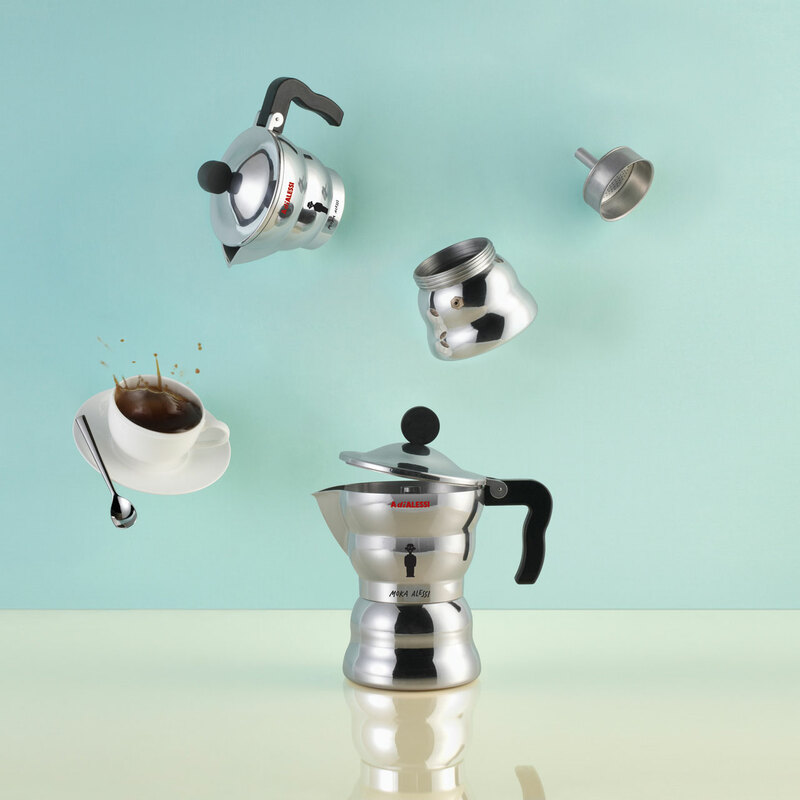 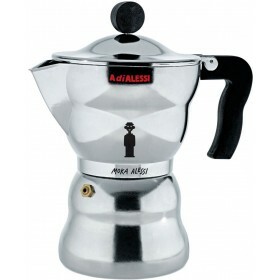 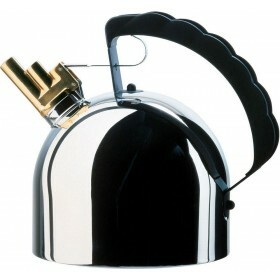 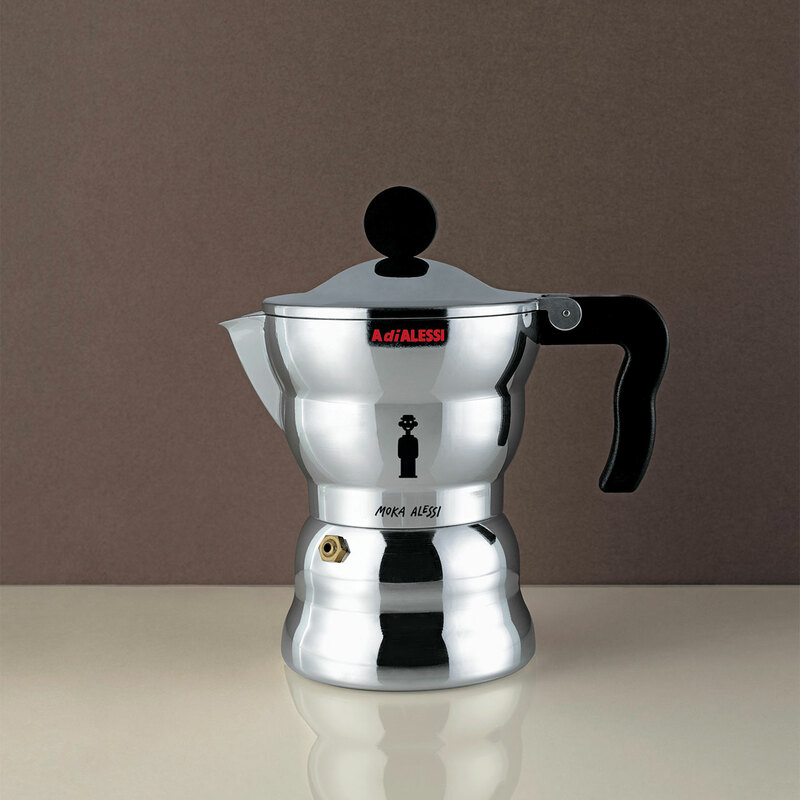 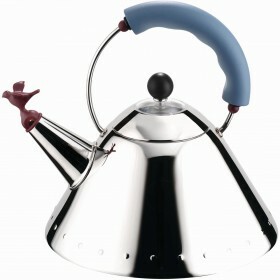 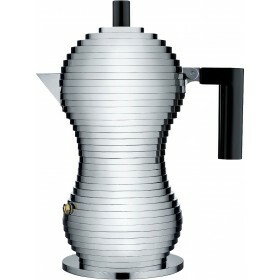 The "Moka Alessi" range is a successful remake of the first espresso coffee maker, designed by Alessandro Mendini, and brought out by grandfather Alfonso. 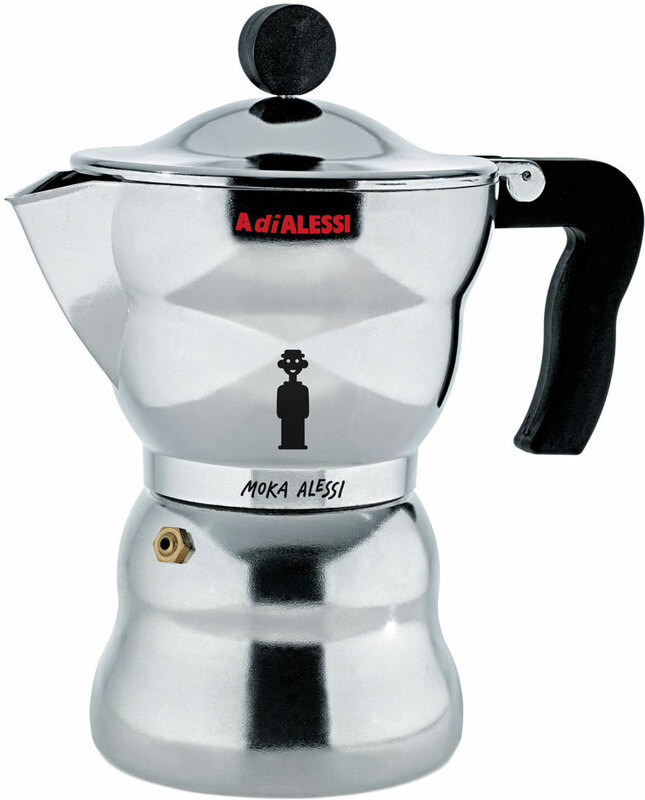 Its small dimensions further highlight the affection felt for this example of Mendini's artistic philosophy.